The INDY IV40 Industrial Vacuum Cleaner from BVC, is the little machine with big performance. With tough metal construction, INDY IV40 is built to last in every environment. INDY has a 40 litre drum, and has a unique reverse-air system for cleaning the filter without any need for filter removal. INDY IV40 has a bypass motor with an air reversal facility that allows a filter that is becoming clogged to be cleaned without the need for removal. The bypass motor ensures that cooling air flow through the motor is separate from the motive air used for vacuuming. This helps to prolong motor life and also ensures optimum motor performance. Tough all-metal construction is designed to take the hardest knocks in the toughest environments. Like all BVC Vacuum Cleaners, INDY is manufactured from thick metal sections, castings and the trolley has high quality wheels and castors for maneuverability. A strong handle allows INDY IV40 to be moved around easily. INDY IV40 is available in both 110v and 230v versions offering 900W and 1000W performance. 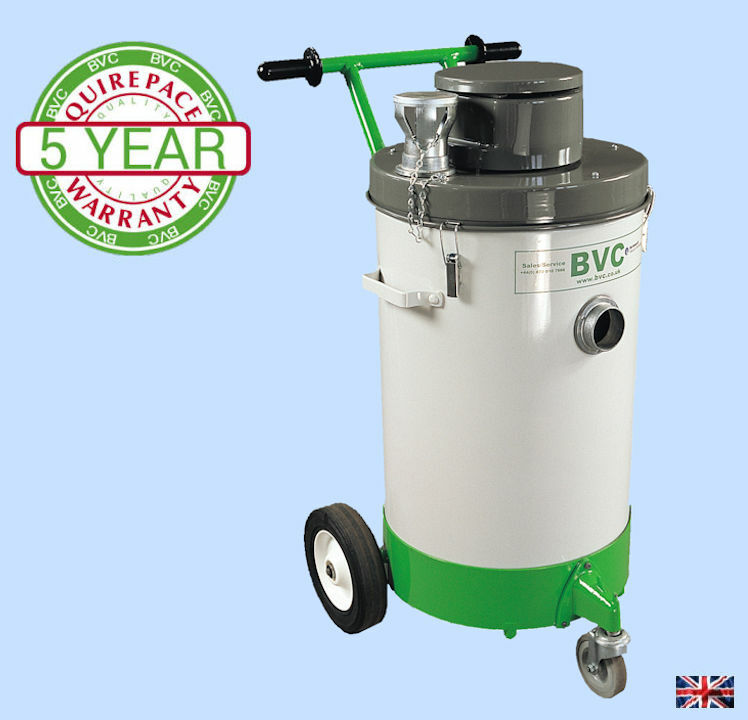 Like all BVC industrial Vacuum Cleaners, INDY IV40 isn’t just a single-specification machine. It is available with a choice of filtration options including HEPA, PTFE (non-stick) coated and fire resistant materials. INDY is also available as either a Wet or Dry version depending on application. In addition to a choice of filters, INDY IV40 is also available with a choice of hose dimensions and tools. For example, either 51mm or 38mm hoses can be specified with a standard length of 3.75m or with an extra-long 7m option. 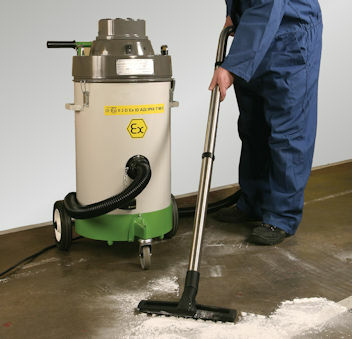 INDY IV40 is the ideal Industrial Vacuum Cleaner when a compact but extremely robust unit is required. Small size with big performance makes INDY the perfect choice. Available with a standard trolley, or alternatively without a trolley when cleaning from a fixed location is required. INDY IV40 is the perfect size to use from a cherry-picker for those difficult access cleaning jobs. Customers specify BVC machines when they want a vacuum cleaner they can rely on. Quirepace keep spare parts on the shelf for all current machines and have large stocks for older models. 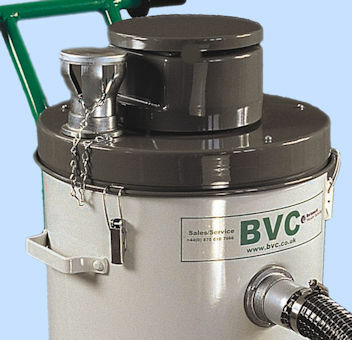 Many BVC Industrial Vacuum Cleaners are over 20 years old and still in perfect service. Suitable for almost all dusts and small solids there is a version of INDY to suit all applications. The ATEX certified version is suitable for Zone 22 areas where explosive dusts may occasionally occur from time to time. Our specialist sales team will guide you towards the best options for your application, and with a 5 year parts warranty you can be confident that INDY IV40 won’t let you down.